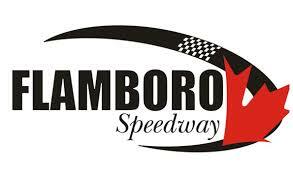 After a solid campaign this past year, Thayne Hallyburton has confirmed that he will be back at Sunset Speedway in 2018, with his focus set on the Sauble Falls Tent and Trailer Park Late Model NASCAR Whelen All-American Series Late Model Championship. The Hillsdale Hurricane put together an impressive season in 2017, scoring a pair of feature victories to go along with eight top-five’s and 19 top-10’s. It’s no surprise that the most memorable moment from the day was when he and his brother Travis Hallyburton were able to go one-two on consecutive weekends. “We really had the cars flying at the start of summer,” he added. It wouldn’t be shocking if Hallyburton was quick once again, given the improvements seen with each season, though there are some changes on the horizon for the speedway. The track has decided to go from eight-inch to 10-inch tires for 2018, in hopes of getting closer to the Pro Late Model package that has become popular via the APC Auto Parts United Late Models of Ontario Tour.